Hello! My name is John Mack. Thank you for this opportunity to address you in the hope that I get your support to be re-elected as Newtown Supervisor. First, let me say that I’m NOT a career politician! I’m a retired small businessman and publisher of a pharmaceutical industry newsletter who has lived in Newtown Township since 1995. As a citizen and someone with advanced degrees in chemistry and biochemistry, I am concerned about chemicals in our environment whether they are contaminants in our water and air or addictive drugs. I have made it a goal to do all I can to keep the public informed about these and other issues and, especially, to do whatever is possible to fight the current Opioid epidemic. Through my efforts, for example, the Township now offers a 24/7 drop-off program for unused prescription and other drugs (read "My Case for a 24/7 Drug Drop-Off Box" and "Newtown Has a 24/7 Drug Drop Box"). 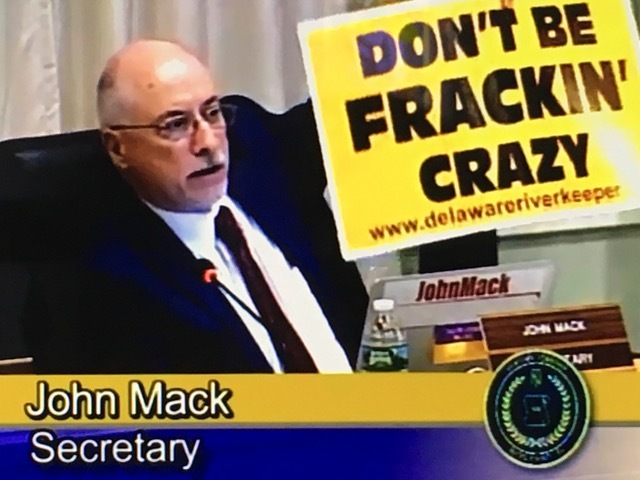 When I learned that the resolution was NOT included in official comments to the DRBC due to an oversight by the previous Town Manager, I made it a point to summarize the major points of the resolution in person at the June 13, 2018, public meeting of the DRBC. I introduced and championed the approval of the Anti-Discrimination Ordinance that established the Newtown Human Relations Commission. The Commission is tasked with resolving complaints regarding unequal treatment based on “actual or perceived” race, sexual orientation, gender identity or expression, or disability. The Commission is tasked with resolving complaints regarding unequal treatment based on “actual or perceived” race, sexual orientation, gender identity or expression, or disability. Newtown is the FIRST Township in Bucks County to pass such an ordinance to protect the rights of the LGBTQ community. Before this ordinance was enacted, 5.2 percent of Bucks County’s residents lived in protected municipalities. Now, factoring in Newtown Township’s 19,000 residents, 8.3 percent are covered. Obviously, much more needs to be done. I strongly support an open government and strive to keep residents informed about important decisions affecting them. I do this through my website, blog, and email newsletter as well as social media. I also pro-actively meet residents in person to discuss their concerns. If re-elected I will make it a priority to do all I can to encourage the township to use technology to improve and expand official township communications so that even after I am gone, residents will benefit from a more transparent local government.